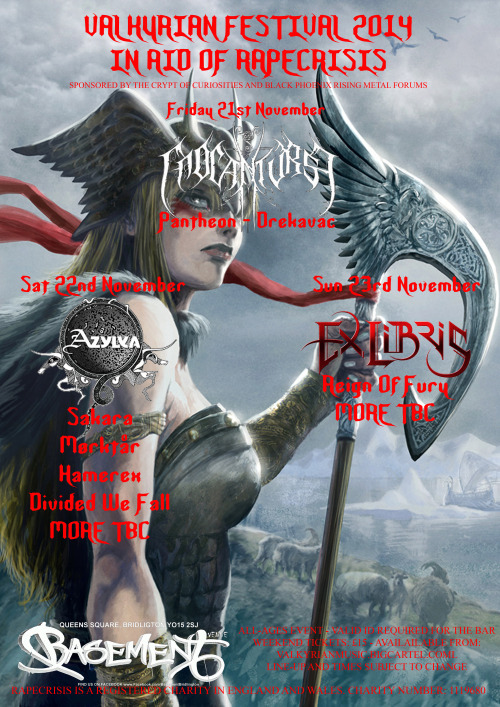 This entry was posted on 21st January 2014 at 3:00 pm and is filed under News with tags Azylya, Belgium, Bergen, Black Metal, Bridlington, Cnoc an Tursa, Death Metal, Drekavac, Ex Libris, Friday 21st November, London, Mørktår, Re-Armed, Reign of Fury, Tursa, Valkyrian Festival, Xandria. You can follow any responses to this entry through the RSS 2.0 feed. You can leave a response, or trackback from your own site.